After an hour over coffee, I fully comprehended why. I was talking to the Cory Aquino or the Aung San Suu Kyi - of Cambodia. And given her courageous outspokenness, I am now very concerned for her safety. Cambodian Parliament Member Mu Sochua (Wiki) is headed back to Cambodia where she faces possible arrest and imprisonment. Yet she is headed back nonetheless. She was in New York last week to attend Women in the World: Stories and Solutions, a conference that provides a platform for women across the world to tell the stories that have shaped their lives. Some of the speakers in attendance are well-known, like Hillary Clinton, Diane von Furstenberg, and Queen Rania of Jordan. Other faces were less familiar but shared no less powerful stories, such as Mu Sochua. 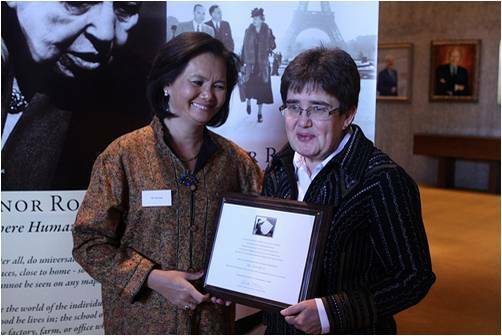 Vital Voices Tribute to Global Women Leadership last week. This high-powered event was sponsored by HP, Exxon Mobil, Bank of America, and Goldman Sachs' 10,000 Women, and follows on the heels of the Vital Voices conference at Kennedy Center in Washington last week. They invited internationally prominent women such as Mu Sochua to participate. In 2005, she was one of 1,000 women nominated for the Nobel Peace Prize and has received many awards for her human rights work. Mu Sochua. Many of her contemporaries in the opposition have been assassinated. Mu Sochua became a member of her nation's Cabinet in 1998, after having returned in 1989 after 18 years in exile during the period called the Killing Fields. She was then one of two women in high power there. War and genocide took me away from my native Cambodia when I had just completed high school, in 1972. War exploded in addition to genocide from 1975 to 1979. In just three years, over one million lives were lost - a quarter of Cambodia's people. The green rice fields of Cambodia became killing fields. Armed conflict continued until the Paris Peace Accords were signed in 1991. She was the first woman to preside over the Office of Women's Affairs. Prior to her, it had been considered a man's job. 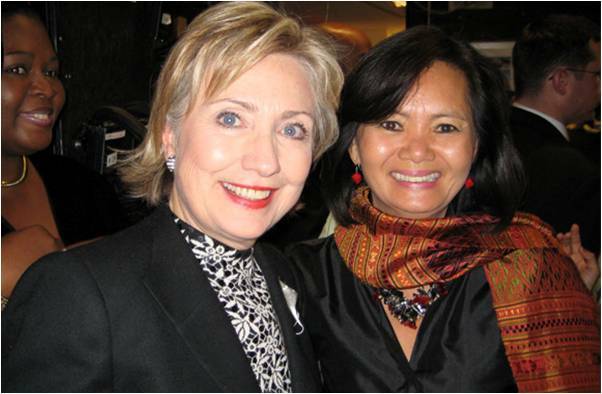 I left Cambodia as a young adolescent and returned as a mother and an activist, working with women's networks and human rights organizations to promote peace and to include strong provisions in the 1993 Constitution to protect the human rights of women. In 1998, I ran for a parliamentary seat in the North West of Cambodia, the most devastated region, and won. The same year, I became Minister of Women and Veterans' Affairs -- as one of only two women to join the cabinet. I declined a ministerial post in the next government, joining the opposition party instead, and joining forces with Cambodian democrats to fight corruption and government oppression. M.P. Mu Sochua visits a paralyzed woman denied quality health services. But the government there is not particularly democrat and she felt the corruption and nepotism kept Cambodia's women back. 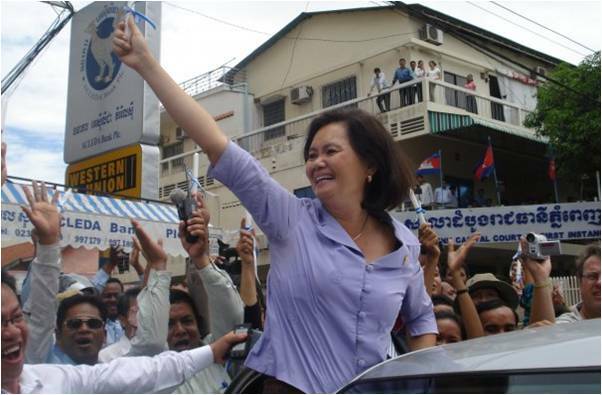 She did not wish to be co-opted, so she joined the Sam Rainsy Party, the lead opposition party in Cambodia. As a minister, I proposed the draft law on domestic violence in Parliament, negotiated an international agreement with Thailand to curtail human trafficking in Southeast Asia, and launched a campaign to engage NGOs, law enforcement officials, and rural women in a national dialogue. During my mandate, I campaigned widely with civil society and NGOs to encourage women at the grassroots to run as candidates for commune elections, the first of their kind in the history of Cambodia. Cory Aquino fought with yellow ribbons, Aung San Suu Kyi fights with a dignified silence. 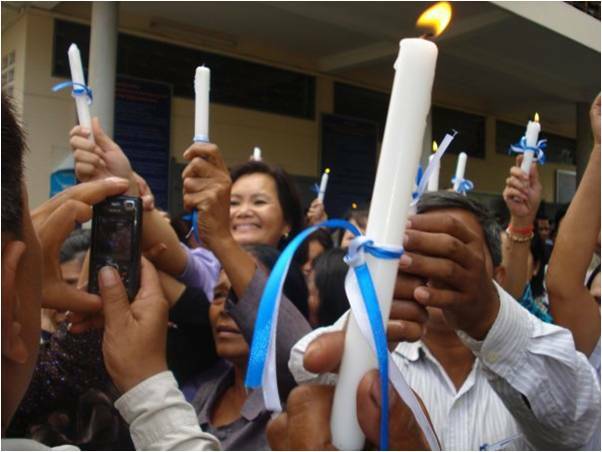 Cambodian Parliament Member Mu Sochua leads the opposition with candles. Although the government rejects these numbers -- and critics are often challenged with misinformation charges -- it appears from credible sources that Cambodia remains one of the poorest countries in Asia, with 30% of the population living below the national poverty line of 45 cents a day in 2007, with 68.2% of the population living on less than $2 a day. My efforts have always been for long-term development which includes development of human resources for Cambodia, where most of our teachers, doctors, and judges were killed during the Khmer Rouge years. As a woman leader I lead with the strong belief that women bring stability and peace, at home, in their communities and for the nation. I am a strong supporter and advocate for a gender quota, although this special measure is yet to be adopted by the government. Leaving the government to join the opposition is not the same as Joe Lieberman being a Democrat or Republican. In Cambodia, they don't play. The head of the opposition party, Sam Rainsy, has been found guilty of destruction of public property and sentenced to two years in prison. This trumped-up charge was followed by another three weeks later that will likely send him to at least ten years behind bars. 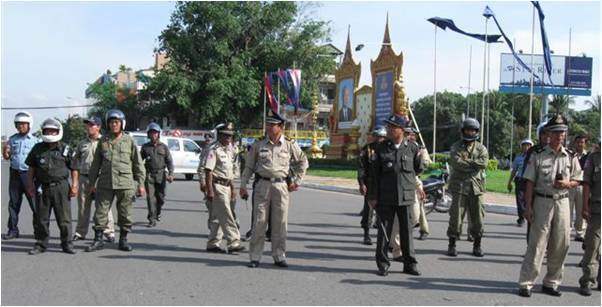 Armed police in Phnom Penh blocking the opposition's anti-corruption march. Drummed-up charges and show trials are part of the Cambodian judiciary system that is directly controlled by the government. It is a direct form of political prosecution of the government's critics. A letter to the editor to The Phnom Penh Post this week by a prominent human rights defender points out the charges against Sam Rainsy are similar to the new electoral law in Burma which is designed solely to keep opposition leadership out of atonal elections. Sam Rainsy, a prominent economist trained in France, was made Finance Minister following the U.N.-sponsored elections in 1993. However, his parliamentary immunity was stripped and his former party expelled him from his government position in 1995 for his attempt to clean up corruption - forcing him to form the opposition party. He has survived at least two assassination attempts when leading workers' demonstrations. At one of the demonstrations his body guard died on top of him. He has since fled into exile in Paris. He leads with one thing in his mind: Justice. A man with strong democratic principles, he delegates power, he seeks the truth, and never shies away from threats to his life. He has walked thousands of miles with the poor to end land grabs, he has lead hundreds of demonstrations to fight for workers' rights. And he has risked his life more than once to end corruption which is calculated at close to US$500 million per year according to the U.S. Ambassador to Cambodia. Since 1995, Mu Sochua told me -- as we sat in the safety of the Time-Warner Building opposite Columbus Circle in New York City -- that 185 activists from her opposition party have been killed. She casually mentioned that just to care for that number of bodies was a burden for her and her followers. As hardened as I have become by my travels, I was shocked. More than once I have come face to face with armed police and military. My strategy for self-protection is to remain vocal, visible and high profile. The day I joined the opposition party was the day the leader of the workers' movement -- Chea Vichea -- was assassinated. He was the founder of the opposition in Cambodia. The documentary of his life and death, Who Killed Chea Vichea? ", will premiere March 27 at the Frederick Film Festival in Maryland. Chea was shot in broad daylight by assassins, but the government arrested two other men and imprisoned them for their supposed crime. Allida Black, Director of the Eleanor Roosevelt Project at George Washington University. U.S. Mission Photo: Eric Bridiers. The Prime Minster insulted my new friend Mu Sochua. She insisted he apologize. He said, "forget-about-it - just sue me!" So she did. But the case was far from over. The Prime Minster then took her to court - for having sued him. He claimed she had committed a 'conspiracy to defame his reputation.' Unbelievable. She lost this suit in June of 2009. She was told by the court she must pay a $4,000 fine. She refused and appealed - and lost again in November 2009. Now -- about the time she will return home -- it goes to the Supreme Court there. The Court is controlled by the Cambodian Government, where she will most probably lose again. "If I lose, I will not pay that fine," she told me defiantly. I will go to jail first!" She faces this verdict upon her return. I call on the world press to monitor this closely, and for the people of the world to reach out to their Cambodian Embassies and let them know: The Whole World Is Watching. Mu Sochua has a 25-year history now of advocacy. As a Member of the Cambodian Parliament and mother of three, Mu Sochua has played a crucial role in the empowerment of women and has worked tirelessly to lead the fight against gender-based violence. Human Rights of Women. She campaigns widely to defend the human rights of women through the adoption and full implementation of legislation against gender-based violence. 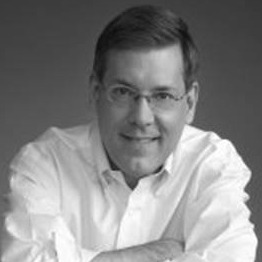 Trafficking and Sexual Exploitation of Women and Children. She travels around the country to sensitize villagers to the danger of trafficking, pursues the prosecution of traffickers through a strong network of local organizations, and leads the fight against corruption of officials. Women in Politics. She is the principal leader of the women's movement for transformative leadership, campaigning widely for legislation and policies to promote women's participation and positions in decision-making. The Urban Poor. She advocates for the rights of squatters to improve their living conditions and gain lease-hold rights to land. She also supports the development of communities for squatters with schools, health centers, sanitation, and access to employment. Land Rights. She advocates for the rights of tenants in her constituency of Kampot and throughout Cambodia, investigating evictions and land-grabbing first-hand, listening to villagers' stories, and supporting formal complaints. There are said to have been at least 11,600 victims affected by land disputes in 2009. When urban communities are forcibly evicted and relocated to remote areas lacking proper sanitation, jobs, and food security, female heads of household suffer the most. Malnurishment of infants and children under five double. Relocation of rural communities are even more dangerous to women as the families who are already vulnerable are further facing more violence as they are relocated to less secure, unfamiliar areas. Forced evictions and illegal economic concessions happen almost on a daily basis, with villagers arrested without arrest warrants and leading the poor to chronic poverty and food insecurity. Civil society and local human rights organizations working to empower the landless are often subject of government scrutiny, law suits, and illegal detention. 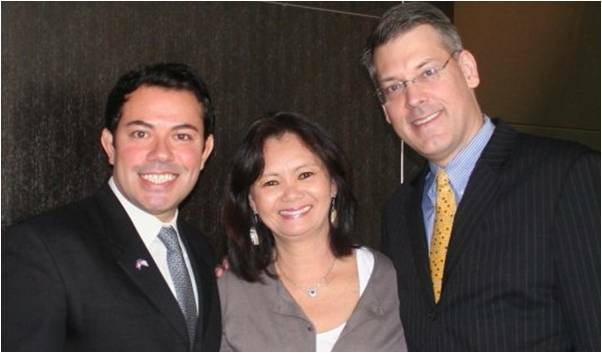 with Jean-Michel Tijerina of the Cambodia Project and me in the safety of New York City. Photo courtesy of Nozomi Terao. Maternal mortality rates in Cambodia are higher than any other country in the region although some progress has been made in the at five years. There are currently over 4,000 deaths of women during delivery or five women die in childbirth per day, and one woman dies every five hours from childbirth. An average of 19,780 children die per year -- with 55 dying every day during the first year of life. The literacy rate among women are 55.6%; only 12.6% of girls in rural areas attend lower school and 4.1% of rural girls attend lower secondary schools. Drop out rates also at primary level is at 50%. Last month the organization that I founded, Orphans International Worldwide (OIWW) presented its 2010 Distinguished Global Citizenship Awards for Helping Humanity. U.S. Congresswoman Carolyn B. Maloney and Dionysia-Theodora Avgerinopoulou, a Member of the Hellenic Parliament, were awarded. It is obvious to me that this Cambodian Member of Parliament, the Hon. Mu Sochua, must receive my organization's 2011 Distinguished Global Citizenship Awards for Helping Humanity. It is up to the world to make sure she is not in prison so she can receive it.